Get help for calling Harbin. Harbin's winter conditions are as world-famous as they are brutal, but you still miss them. In fact, you miss everything about Harbin: friends, family and that strange-neighbor-with-good-intentions as well. So you'll need to talk to all of them, whenever you want, without worrying about costs. 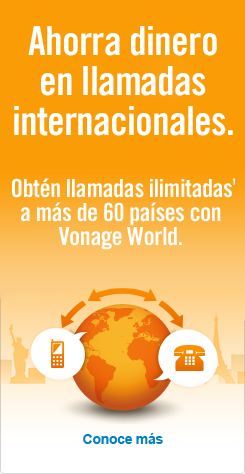 With Vonage World, you'll get unlimited¹ calling to Harbin so you can call mom in the middle of the night or dad at daybreak. And it doesn't matter if you call Harbin mobile or landlines, with Vonage World it's all included at one low monthly rate! Now you know which plan to call Harbin with (free calls to Harbin are included in Vonage World), but what's the PLAN FOR calling Harbin? Begin by dialing 011 – the US/Canada exit code. Then, dial 451 – the Harbin area code. Finish with the local Harbin phone number. And that folks, is how you dial Harbin. But you may have friends and family in other parts of China, so take a peek at how to call China from the US to discover how to call other Chinese cities. Nicknamed the “Ice City” due to harsh wintry conditions, Harbin is still home to nearly 6 million inhabitants (according to a 2010 census). Harbin is well-known and recognized for a number of reasons (political, scientific, economic and cultural), but its standout ice sculptures and festivals are what the city is usually remembered for. Harbin is an important city for China due to its close ties to Russia, which continue today. Also, in the early 20th century Harbin was considered the fashion capital of the country, as Harbin got the best designs from international designers much earlier than any other city in China.